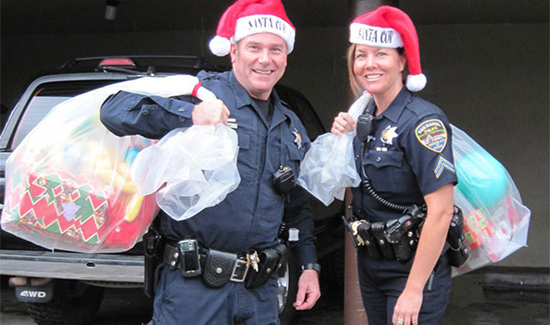 Across the nation our law enforcement officers are gearing up for the holidays. No one likes seeing a police car in their rear view mirror. That’s because there’s a chance that the officer might make a traffic stop because of busted tail light, lane violation or obscured license plates. But in Lowell, Michigan recently, the people getting their license and proof of insurance ready to hand over weren’t getting tickets. They were getting presents. And with all the crap going on in the world today, who couldn’t use a little holiday cheer and good tidings. And what exactly are “tidings” anyhow? Regardless, check out this video of Officer Scot VanSolkema handing out gifts, like a new TV and an electric scooter. The reactions of the drivers, whose faces morph from irritation to unadulterated joy, are priceless.